→How did the Philippines celebrate June 12 under Marcos’ martial law? How did the Philippines celebrate June 12 under Marcos’ martial law? MANILA, Philippines – On Monday, June 12, the Philippines celebrates its 119th Independence Day. This is also the first time since the regime of the late dictator Ferdinand Marcos that the Philippines is celebrating its Independence Day with a portion of it – Mindanao – under martial law. On May 23, President Rodrigo Duterte declared martial law in the Philippines’ southern island following the attack of local terrorists in Marawi City. Duterte’s declaration was met with approval, outrage, and apprehension among the public. Many still fear that the entire country may be placed under military rule, especially after the President admitted that he was considering extending this to Luzon and the Visayas if the threat of the Islamic State (ISIS) persists. As the Philippines celebrates its annual Independence Day amid martial law in Mindanao, we ask: How did the Philippines celebrate Independence Day during Marcos’ martial law era? According to Primitivo Mijares’ “The Conjugal Dictatorship,” Ferdinand Marcos was a senator during the Macapagal administration and was also one of the biggest supporters of this decision to move the date of Philippine independence. Marcos continued to uphold the June 12 independence date even as he declared martial law in September 1972. After Marcos declared martial law in September 1972, he commemorated the Philippines’ Independence Day with presidential speeches, along with the usual ceremonies done during this public holiday. Such commemorations were usually held in Manila, along with the ceremonial flag-raising ceremony and a parade. Philippine flags were also hoisted during official ceremonies in historically significant places in the country. In 1980, the year before martial law was lifted, Marcos delivered an Independence Day speech at the Quirino Grandstand in Manila. At 8 am, Marcos and his first lady hoisted the Philippine flag at Rizal Park, while other Philippine flags were raised at the Aguinaldo Shrine in Cavite, Fort Bonifacio, and at the Bonifacio Monument in Quezon City. Marcos, in his speeches, also defended the implementation of the “emergency government” of martial law, saying that it was needed in order to ultimately preserve the country’s democracy and maintain stability. In his 1977 and 1979 speeches, Marcos also repeatedly mentioned the “Isang Bansa, Isang Diwa” (“One Nation, One Soul”) theme, stressing the need for discipline and unity at a time when the country was said to be in great turmoil. After Marcos declared martial law on September 21, 1972, he delivered a presidential speech during Independence Day in 1973. 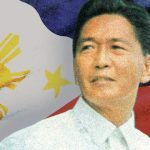 It was the first Independence Day speech that Marcos delivered to the public after a mere 9 months under martial law. In 1973 and in the years that followed, Marcos would consistently deliver speeches during Independence Day celebrations. His speeches were charged with nationalistic sentiments that were used to justify the political context at the time. 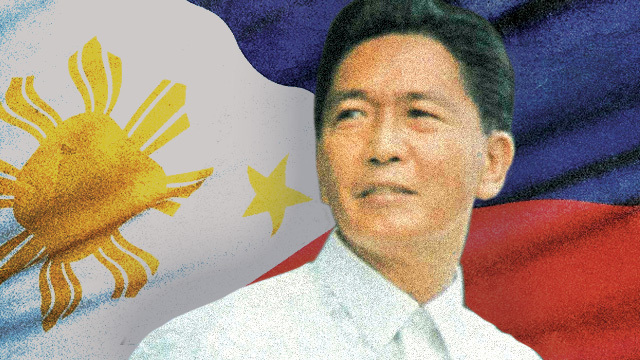 During those days, celebrating Independence Day meant celebrating the kind of independence Marcos constantly emphasized in his speeches – that the nation that was truly free was one that transcended its own setbacks. Perhaps the irony in this was the context in which this independence was celebrated. Given that it was a country under a dictatorship, it was not truly free. Although Marcos did celebrate Independence Day and commemorate it even during the martial law years, he also used this public holiday as a way of justifying his strongman rule in the name of upholding a strong republic.